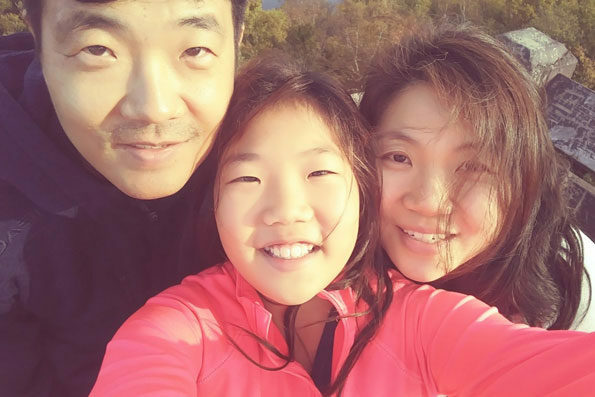 An GoFundMe online fundraising account was created on Monday, January 21, 2019, the day after Esther Jung, age 12, died in a snow fort that collapse outside of the Rothem Church, 106 East College Drive on the north side of Arlington Heights. Esther Jung’s father is the pastor of the Arlington Heights church. Raymond Lee is listed as the organizer of the GoFundMe page. His father serves as an elder of the Korean Christian church. The donated money to the account is going to be used to pay for funeral expenses and other needs, according to the creator of the account. Esther Jung, who lived with her family in Elk Grove Village, and her 9-year-old friend, Sophia Shin, went outside at the Rothem Church while adults attended a church service. After an hour, when the girls had not returned back inside, adults became concerned and searched for the two girls outside. About 2:41 p.m. Sunday they found Sophia Shin buried up to her chest in a pile of snow at the east side of the church property. Sophia Shin was unable to free herself, but was still able to breathe, and was calling for help. Esther Jung was entirely buried, and died from asphyxiation because of the weight of the snow from the collapsed fort they had built. Both girls were transported by two firefighter/paramedic crews to Northwest Community Hospital. Esther Jung was treated with CPR and Advanced Life Support at the scene and during transport to Northwest Community Hospital. She was pronounced dead at 4:30 p.m. after extended resuscitation treatment of about 90 minutes at the emergency department. Police investigators believe the two girls may have been entrapped for up to an hour. Sophia Shin was treated at Northwest Community Hospital for hypothermia after extended cold exposure. Esther Jung (center), died in collapsed snow fort in Arlington Heights. investigation after girl died in collapsed snow fort in Arlington Heights; Esther Jung was pronounced dead after a snow fort collapsed on her — causing death by asphyxiation.